A few months ago we decided to take an overt step to foster more excitement within ourselves about our choice to adopt. We decided that with each significant adoption milestone to purchase something for our future family/child. To celebrate our home study, our first purchase was a beautiful original piece of art that is now hanging in the nursery. This was the very first thing we ever bought for our child, and has so much meaning to us as it signifies our choice to adopt and our future child coming into our lives. Then we bought a used pack n’ play so that at minimum we have a safe space for our child to sleep. As we are adopting internationally, something we could travel with seemed like a really good idea. And as an added bonus, the lovely people we bought it from gave us a diaper bag and a mobile for the crib. Next I bought some books. As I adore books, children books are a must for our future child. So, I pulled out the few books I have from my childhood and bought some our of favourite ones as well. The book collection is already growing and I love it! And most recently, with all the excitement of moving to the USA side of our adoption, we bought something that might seem extravagant considering the cost. In order to afford it I have been selling unwanted used things from our house for the last few months, so the pain wasn’t nearly as bad as it could have been. We bought my dream camera lens. The lens, while not practical at all for baby photos, will be amazing for photos as our child starts to grow. And it’s the type of thing we will be very unlikely to buy when we actually have children as we will be choosing to spend our money on our child’s basic needs and wants. So, we used all the cash I had been saving up (specifically for camera equipment), added a bit more to it to get the necessary accessories (i.e. UV filter, monopod, etc), and we bought it!! And as an added bonus it will be tonnes of fun to use the camera lens as I finish up my 365 Happy Days. And now, I’m looking forward to our next milestone – finishing our profile book and actually being shown to birth mothers. I have no idea what to do to celebrate that milestone, but I do know we don’t want to spend tonnes of money right now. I’m thinking practical needs like a bouncy chair or maybe a baby wrap / carrier. Or maybe something fun and useless, but I’m not sure what that would be. Does anyone have any suggestions or ideas, practical or not? With the steps forward recently, it feels like it is getting just a little bit more real and a lot closer to our dream of having children to complete our family! I love hearing about these! I am glad you don’t have 800 milestones left. I am sure you will enjoy the camera lens. I ❤ books. I'm sure you little one will too. Have a wonderful weekend! Wishing you a wonderful weekend as well!! Love all of this. Guess How Much I Love You STILL makes me cry every single time I read it to Lettie. There’s also one called, On the Day You Were Born that’s a sobber for me. It ends with the words, “We’re so glad you came,” and I can’t get them out without tears. Haha, I’m tearing up now just thinking about it! Haha, I’m a sap. My excitement for you is bubbling over!!! I can’t wait for you to embark on the next steps! Hooray! This is so sweet! Good for you! Keep us posted as you add pieces to your nursery and your baby stash! You should post more pictures!!! That’s the one thing about mt 365 happy day project, it’s really forcing me to use my camera all the time and I’m loving it. And, once a week I also post the photos. We use a Pentax K5. The body is about 3 years old now, and I’m already talking about buying a new body in a few years! What an expensive hobby we both have!! 🙂 I finally started an IG account but I am so bad at using my cell phone for photos that I often forget to use it. I do love your photos that you share though. The tree your parents planted sounds just beautiful! We haven’t talked about doing something like that, but maybe we should because it’s just such a great idea. (Assuming I don’t kill the tree). That lens is impressive!! B would be extremely jealous lol. Congrats on all the milestones lately, so happy that things are finally moving for you! Eeeee! Loved seeing the cover for The Hockey Sweater! Such a classic! It’s such a Canadian classic, eh? Having re-read the book for the first time in years, I was surprised at the ending, but laughed so hard at it. I regularly give it to friends as a baby gift, so I’m excited to be able to read it to our own baby soon enough! Will do!! Thank so much Alicia! Great book choices! I have a hard time getting through some of them still without crying. It is just such a gift to actually be reading them to my little guy. How about you get those blocks or stickers that say 2 months, 3 months etc? I bet with that awesome camera you can do one staged photo a month to keep track of your growing little guy or girl. So very excited for you. I have decided that the day you announce you are bringing home a baby- my husband and I are going to open our best bottle of wine and toast to your new family! Love that idea, Mamajo! I will open a bottle of wine for the new family as well! I love that idea!!! I am absolutely going to pick up some blocks (I have no idea why, but I love the blocks more then the stickers). I LOVE this idea! I think it so wonderful to celebrate these milestones this way. And, I don’t know about you, but it seems to me like once the adoption ball finally started rolling, it has picked up some serious speed! I can’t believe that finishing your book and being matched are all you are waiting on now. So exciting!!! It really has picked up some speed, you are right!! I think the big difference now is that the tedious paperwork and legal requirements have all been met so now the remaining steps are more fluffy and therefore relatively easy. Also, I had already got a lot of the stuff ready for our profile so it has taken us no-time to get stuff to our designer. Wicked! Love it. This is an amazing idea and will bring so much enjoyment. Thanks Jo!! It’s been really helpful for us to create excitement in all the adoption paperwork! Ok I have lens envy! Look at that bad boy eh?! I’ve got my eye on the 50mm/1.4 now. I bought the 18-200mm last year and have enjoyed playing with it but am ready for something new 😊 I’m sure you’ll have a blast with that! 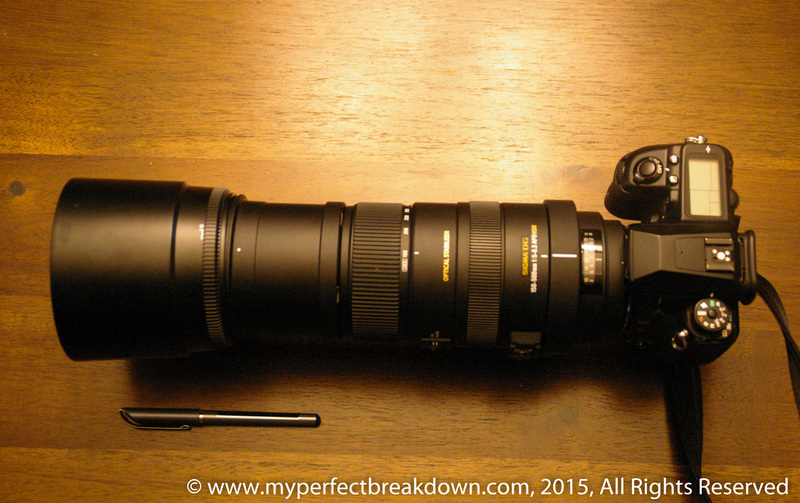 I love my 18-200mm – it is just so versatile!! It’s my go-to-lens that is always on my camera, and I use most frequently. I suspect you will love having 50mm – it will produce beautiful photos! I don’t think I read that you have a travel system yet-that could be a good one! Great idea!! I really want to buy one, but then we realized that it could take a while before we are placed and we’d love time on the expiration periods for the car seat, and if we have two kids we’d want it to last as long as possible. So, I think I’ll pick out my favourite one now, but it will end up being a last minute purchase. Have you chosen yours? Which one are you going with? Excellent point-And Yes! We got the Chicco Keyfit 30 and it just came in yesterday and we love it. It’s very lightweight and the stroller moves so easily! Will do! It’s in the top three picks on Lucie’s List and was recommended to me by various momma’s I know. one of them said the stroller is so light and smooth that she jogs with it! haha excellent point-they don’t make infant approved bike baskets yet! The Dutch do make a great front mount baby seat for bikes or at least they did about 2.5 years ago. I got one for the MT. They have to be able to hold their heads up and be around 6-9 mos depending on the model as best I recall but then it’s awesome once you get used to the change in your bike’s balance with it and baby on it. I got it at West Coast Kids but I only see a Thule one on their website now. I love this!!! Also, that camera lens – Holy cow!!!!! My husband and I have been looking at digital cameras and I don’t know much about cameras, but I hope we end up with a decent one?! I love that everything seems to be moving forward nicely. The books are just adorable!!! What a lovely way to celebrate your adoption milestones! I especially like the idea of the books – it seems like such a nice idea, having these wonderful stories to share with your child when he or she comes home to you. We’ve heard of that book for a good adoption baby book, but we haven’t purchased a copy yet. I had no idea it was about flying to meet our baby, and now that you’ve told me that part it sounds so perfect for us as we will flying to meet our baby for the first time too!! I will have to buy a copy for sure now! Thank you!! Since you’ve just finished your profile, you could buy a baby book! I love your ways of honouring your milestones! I have come to hate materialism in its worst forms and so will not be buying my niece huge toys for birthdays and Xmas. Instead for her first birthday I bought her the how much I love you book and asked my sister to open a bank account, where I will deposit some money each year and when she is old enough she can go travelling or something like that. But I digress….What about a lovely piece of furniture like a rocking chair for nursing your baba’s? Oh, and I forgot about it, we did buy a chair for the nursery already too for another milestone. For the most part I’m trying to focus on long term items and special items rather then just stuff. I love this post!! And I have some suggestions for what you might buy when you are matched (in no particular order). A really indulgent, soft blanket. A lovey. A nice picture frame for your first family photo. A baby book. I’m so happy for you!!! I love how you two are celebrating your adoption milestones! I feel like we’re sort of doing something similar as our pregnancy with Dumplin’ progresses, and it’s fun! We too, are trying not to spend a lot of money, so we’re sourcing out what types of baby furniture is already available to us, and what things we can make ourselves (I’m making cloth diapers right now). I’m interested in reading the recommendations from others on what you should buy next! I think maybe a change table, bathing tub, or high chair? I love that you are doing something similar for Dumplin’! We decided not to get a specific change table, most things I’ve read is that you can just buy a cheaper change table top to put on any dresser, so that was our plan. But then the second hand dresser we bought came with one that is removable, so now that’s solved for us. 🙂 A bathing tub and high chair are both good ideas that I hadn’t thought about yet! My friend bought these high chairs you just put on normal chairs- and loves them (so not a real high chair- just the seat part with a tray), in case you are interested. They’re great because you can bring them anywhere and plop it on a chair for the baby to sit and eat in. She brings it to restaurants, over to my house… Etc. Yup! That’s what we’re planning to buy too. Especially with spending so much time at the cottage in the summer, we might buy two. Thank you. Any must buy suggestions from your experience with MT? For sure a good stroller (I bought secondhand) and preferably one with which you can go running. And at least one comfortable carrier for baby wearing (I have 4 types some of which I bought some given to me). The little one did not like the bouncy chair but loved a secondhand going I bought from an online listing. We have a teeny tiny house so I sold everything I had and this time I only bought a bassinet and a double stroller that coordinates with our infant car seat (also secondhand). I may get a swing by I will wait until baby is here. I bought secondhand for anything that could be washed and get it. The MT loved his exersaucer which I got at the baby consignment store locally and gave away to a colleague and friend for their little boy. I’m a big fan of reused kids stuff if it can be cleaned safely. The only thing we insisted on buying new where safety items like car seat and helmets for the bicycle seat. And the bedroom furniture which we purchased at restoration hardware with the intention that it would last for at least a decade. I don’t regret that but there are much more affordable options! This is all great information!!! Thank you so much. We too are buying everything used that we can – there is no point on buying new if it’s able to be sanitized. I’m told anything made of plastics and that can be fully laundered are good to buy used. Thank you again for all of this! Love the milestones! Every little thing helps to build excitement and get through the waiting, even as you’re waiting to wait. What is “The Hockey Sweater?” Sounds very Canadian… 🙂 I love the idea of celebrating each milestone. Congratulations on your ginormous lens, I am so looking forward to the photos on your 365 Happy Days posts where you use it! The Hockey Sweater is probably one of the most Canadian children’s stories out there. It’s all about the hockey rivalry between the Montreal Canadians and the Toronto Maple Leafs and a little boy who’s mom buys him the wrong jersey and he is shamed by his teammates for it. The book is super cute and I even remember there being a video that we watched all the time as kids too. The Solly Baby wrap/carrier is magical – my sister has one for my niece and it’s baby’s FAVORITE way to “travel.” Very comfy, very easy, packs extremely well. If we ever have kids it’ll be one of my first buys! Yay! The guess how much I love you book is kept in my angel babies memory box and my first purchase for this new baby was books, also! One day I will have my baby to read them too! Lots of best wishes to you as always! That is really exciting! I so love reading your posts. Thanks so much my friend. We really are enjoying a bit more excitement these days now that we are through most of the tedious paperwork. Thanks so much Dani!! It really is an amazing lens!